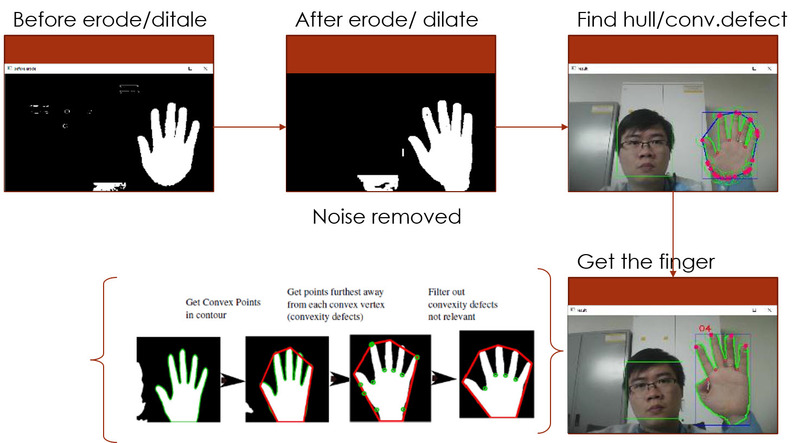 We can follow step to program an application for Hand recognition & gesture use Camera and OpenCV. I would like to mention this your work in an article. However, I was unable to find his article on Hand recognition & gesture use Camera and OpenCV. Could you send me the PDF or even the reference text?